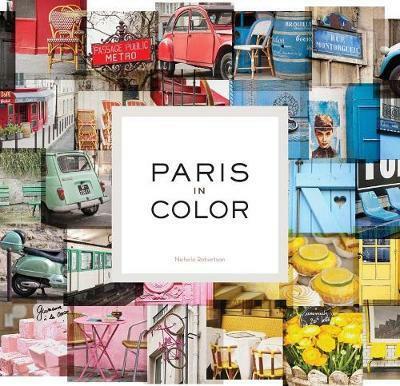 Compiled by photographer and blogger Nichole Robertson, PARIS IN COLOR is a journey through the world's most romantic city, colour by magnificent colour. At once a work of art and a window into the heart of Paris, these vibrant photographs will surprise and delight anyone who loves the City of Light. Nichole Robertson founded the creative studio Little Brown Pen with her husband when they moved to Paris in 2009. Since then, her work has received a great response. She sells prints of her photos and calendars through the site and Etsy, and The Little Brown Pen blog has a dedicated following. She lives in New York and travels to Paris often.